In menopause, female hormones begin to decline and the metabolism slows down. Many women find it more difficult to lose weight after menopause and also experience sporadic weight gain. Hormone changes: when estrogen is too low or too high, weight gain occurs. Decrease or loss of muscle mass: factors such as age, decreased movement, and hormonal shifts can all contribute. Poor sleep: many women report sleep disturbances during menopause. Poor sleep habits are linked to increased body mass. More insulin resistance: many women experience insulin resistance in menopause thus making weight loss more challenging. 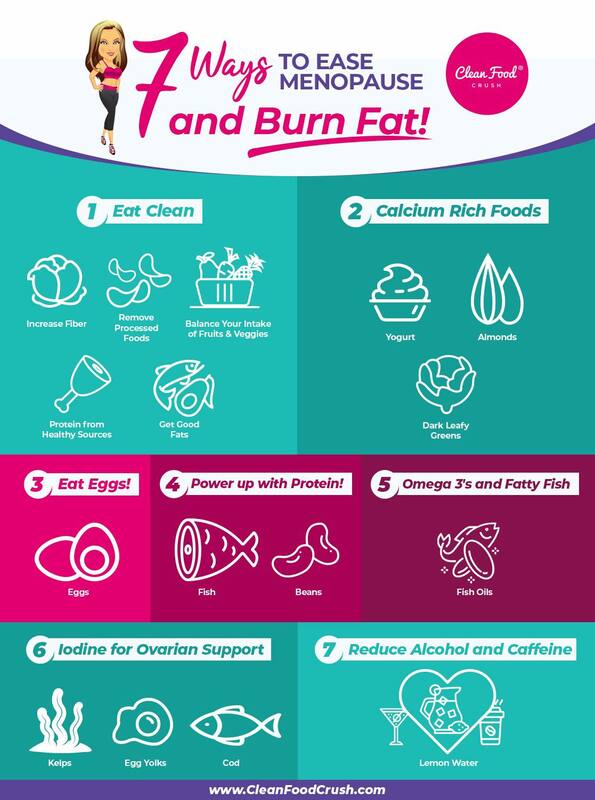 While some of the symptoms of menopause cannot be completely eliminated, optimizing your nutrition and making changes to your lifestyle can help ease the symptoms and give your body what it needs to effectively burn fat. A Clean Eating lifestyle is extra important once you’ve entered menopause for a few reasons. Our hormones decline during this stage, and we’re much more susceptible to heart disease and other degenerative health issues. 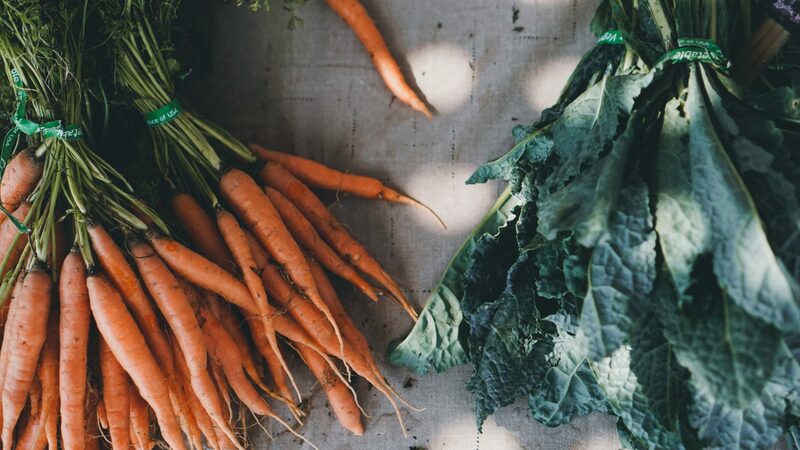 Follow these Clean Eating principles to help eliminate excess toxins, encourage healthy hormone production in the body, and increase nutrient density. 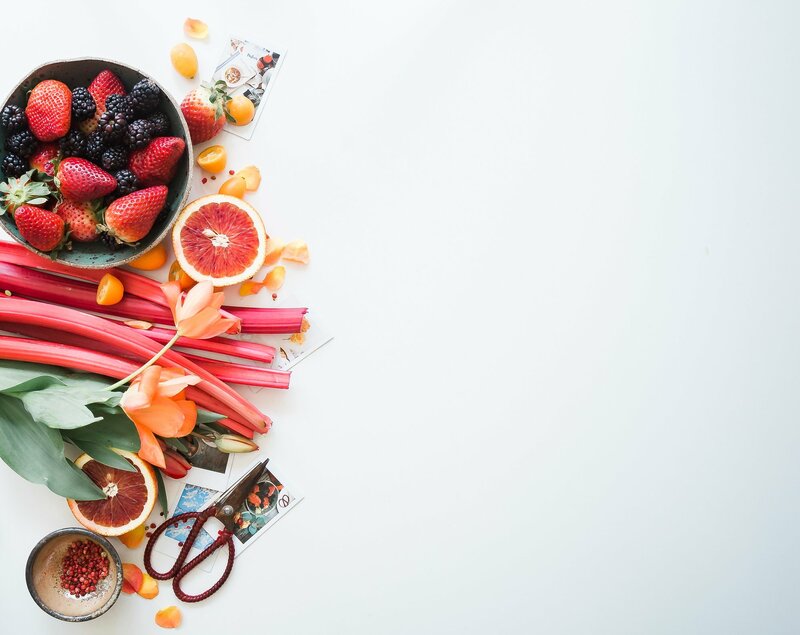 Increasing your intake of nutrients means your body will get more vitamins and minerals to support your immune system, lower inflammation and balance your weight. Calcium gradually decreases in the body as we age, especially after menopause when our estrogen lowers and absorption issues occur. These foods are all rich sources of calcium to help strengthen your bones and support mineral balance in the body. 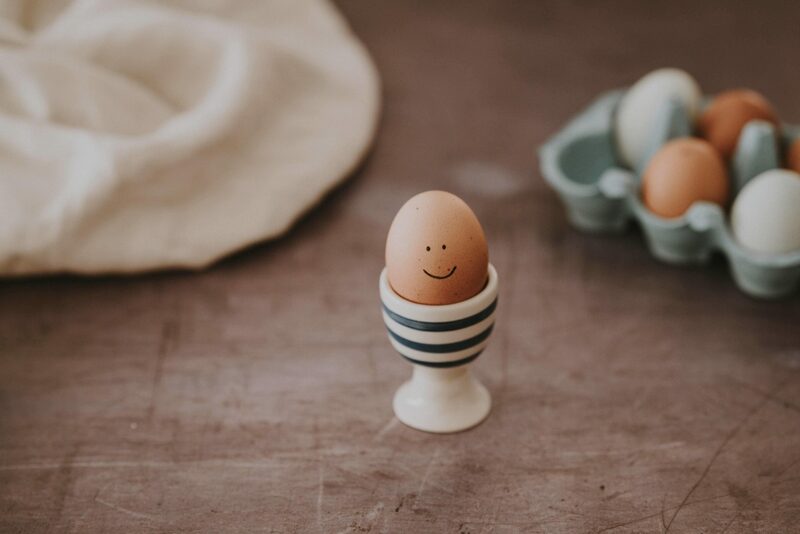 Omega 3’s and Vitamins B & D are abundant in egg yolks making them a beneficial food through all stages of life, and essential during the menopausal years. Vitamin D helps your body absorb calcium, and works to prevent other health conditions associated with aging. They’re also protein-rich, so a hard-boiled egg makes a smart snack that will keep your blood sugar stable throughout the day. Hormones like cortisol, estrogen, and progesterone have an impact on your insulin levels and whether your blood sugar is stable or not. Normalizing your blood sugar levels will have a layered impact on your health, from stabilizing mood and energy levels to increasing your weight loss success. Omega 3’s found in salmon and other fatty cold-water fish can support your brain as you age. They also help to prevent mood swings and keep hot flashes at bay. Iodine is very important for hormone production, however, due to environmental and lifestyle factors, our bodies may struggle to get enough. Iodine supports the ovaries in producing hormones, and when it’s low, we may experience decreased hormone production. This can lead to extra discomfort during menopause that isn’t necessary. 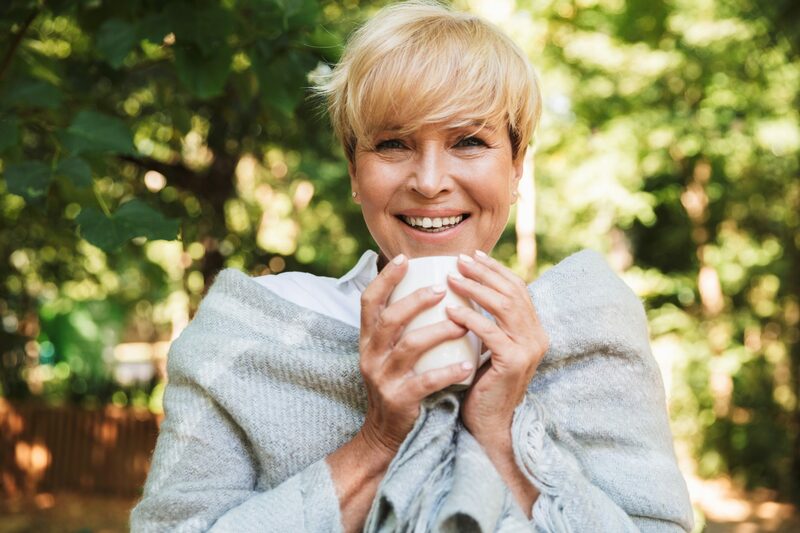 Extreme mood disturbances, hot flashes, and insomnia can be balanced out by factoring in all of these lifestyle tips and increasing your iodine consumption either through a supplement or eating foods like cod, tuna, egg yolks and seaweed like dulse or kelp. Remember to stay hydrated! Drinking enough water each day will help ease menopausal symptoms and support your body in flushing excess toxins and burning fat. Alcohol and caffeine can both have negative impacts on your blood sugar, adrenal glands, and other stress hormones. Moderation is key, however, if you’re experiencing really intense discomfort, it may be useful to make some more dramatic shifts and see what happens. 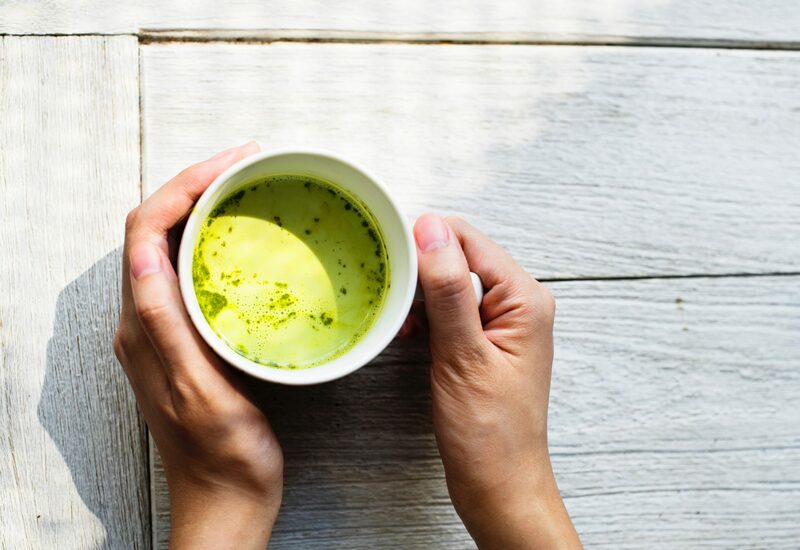 Instead of coffee, you could try Matcha Powder or Green Tea. Both are rich in antioxidants while providing you with the much-desired energy boost. Matcha and green tea also contain L-theanine which support brain health and reduce feelings of anxiety. Ready to make a change? 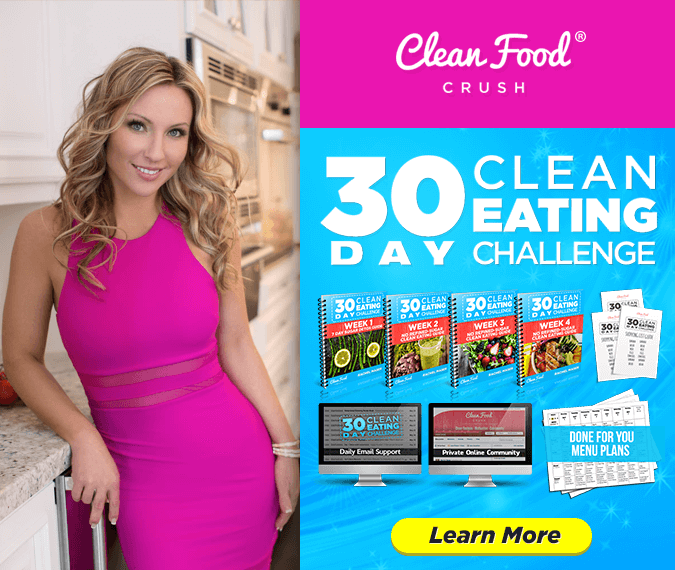 Try taking the 30 Day Clean Eating Challenge where we guide you through 30 days of eating clean to burn fat and transform your lifestyle, naturally.